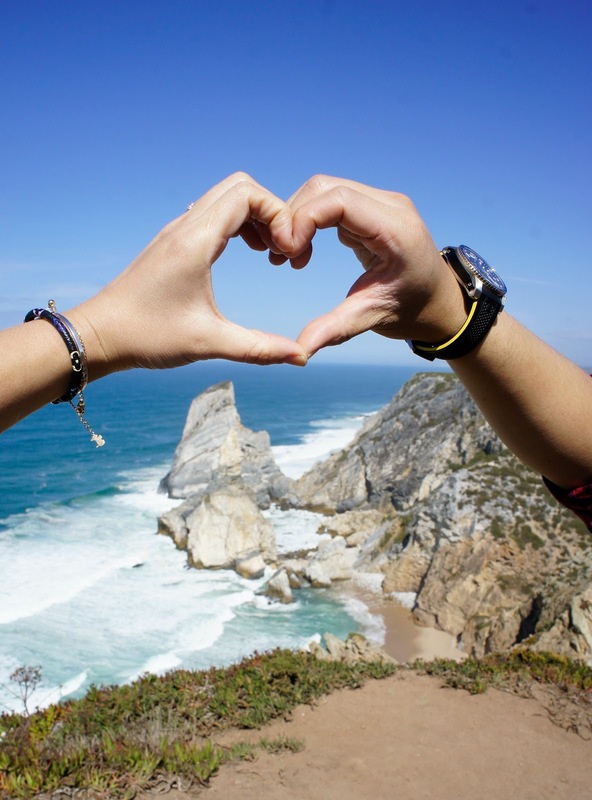 Cabo da Roca is the most westerly point of the European mainland found in Portugal. At the top of the cliffs there is the Lighthouse which dates since 1772. 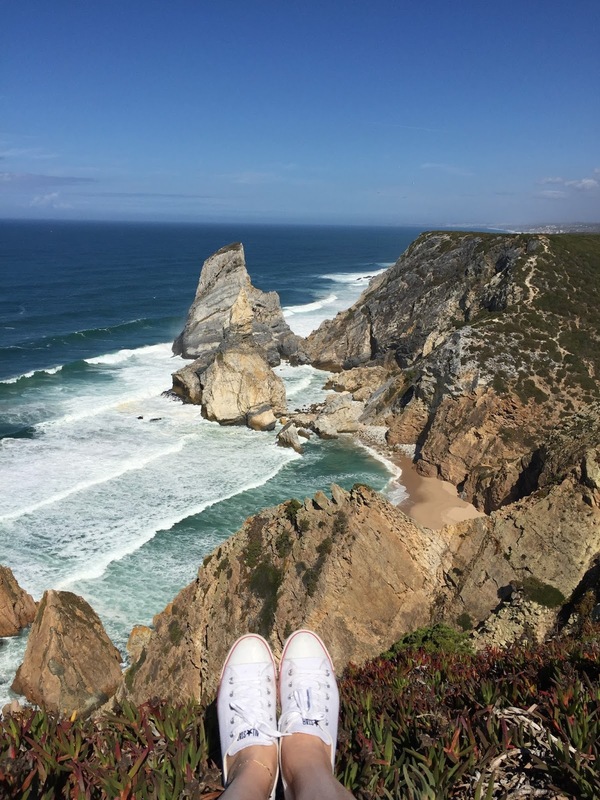 We took a bus to visit Cabo da Roca from Sintra and it is quite a road trip away. It is worth it though and I would definitely recommend. Amazing view over the Atlantic Ocean. 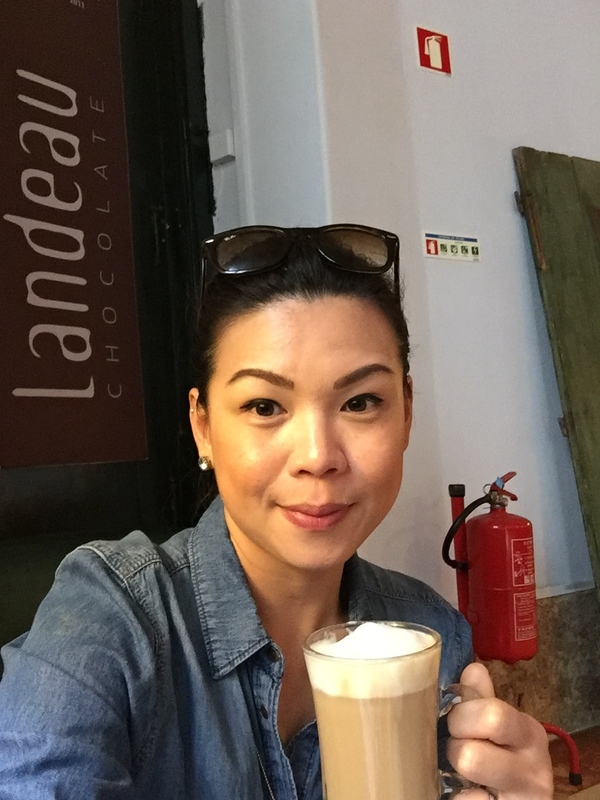 As you must know by now, I am a total foodie and especially when travelling, I like to make sure that we try as many local foods as possible (street food, snack, cakes) and get to visit the best restaurants to eat of course! When in Lisbon, we were certainly not disappointed with the food. 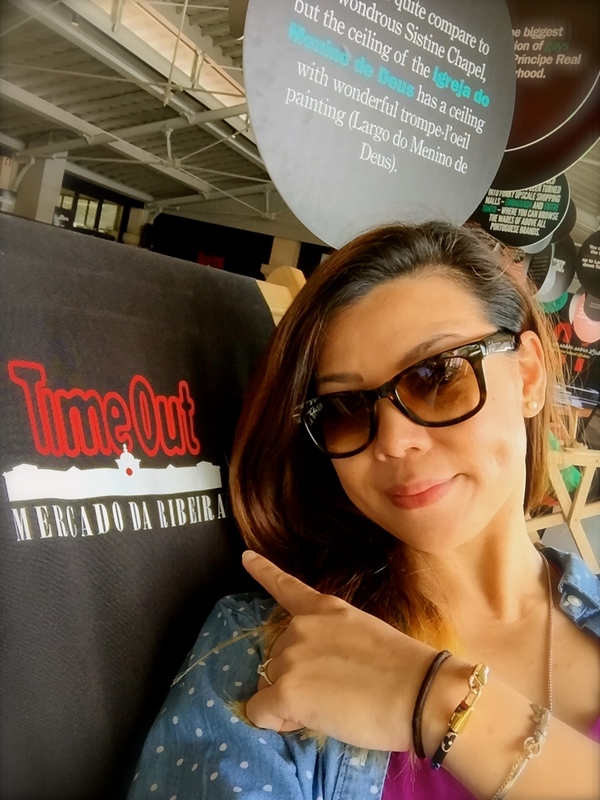 Here I share with you my TOP 5 places to eat in Lisbon and I hope you will enjoy them. Here we go! 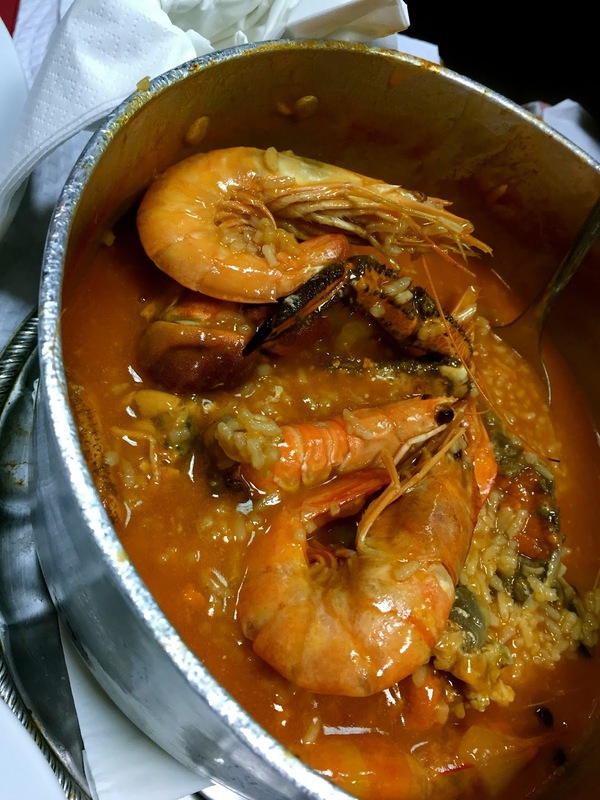 For the best seafood in town, definitely head to Ramiro! Check out my post (here) for more details on what we ate there. It was totally awesome!! This is one place not to be missed! We stopped here for lunch and there were so many stalls to choose from (and we wanted to eat everything) that we came back for dinner the same day. It is definitely the best place to visit for foodies, where the best of the city's restaurants and food shops have gathered under the same room for the perfect foodie heaven! During the day, there are even some cooking demonstrations you can assist which makes for the best day ever! Go there hungry! 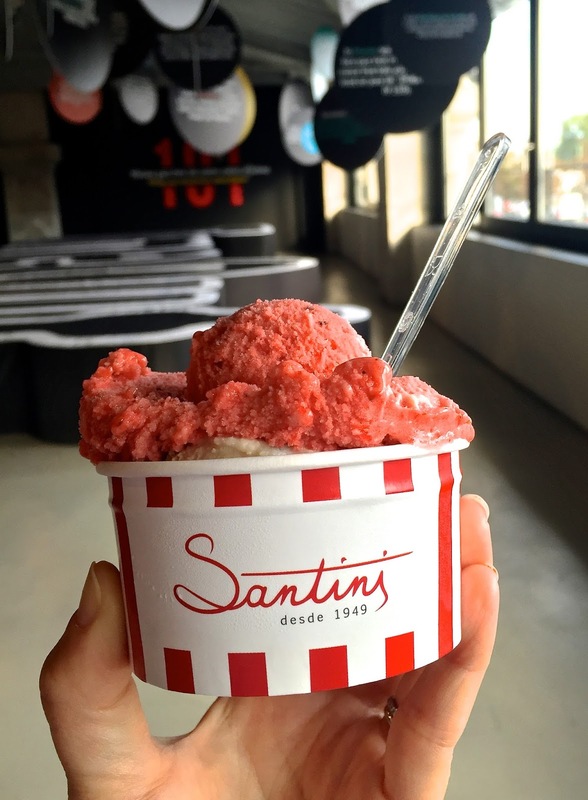 Santini is the best and most famous ice cream parlour in Portugal and you have got to give it a try! We try the Strawberry and Vanilla flavour. Perfect combination :p So yummy on a hot day! Come here for the Arroz de Marisco. A divine dish made from lovely, rich seafood and shellfish broth with creamy rice. It can be compared to either a very watery paella or risotto. 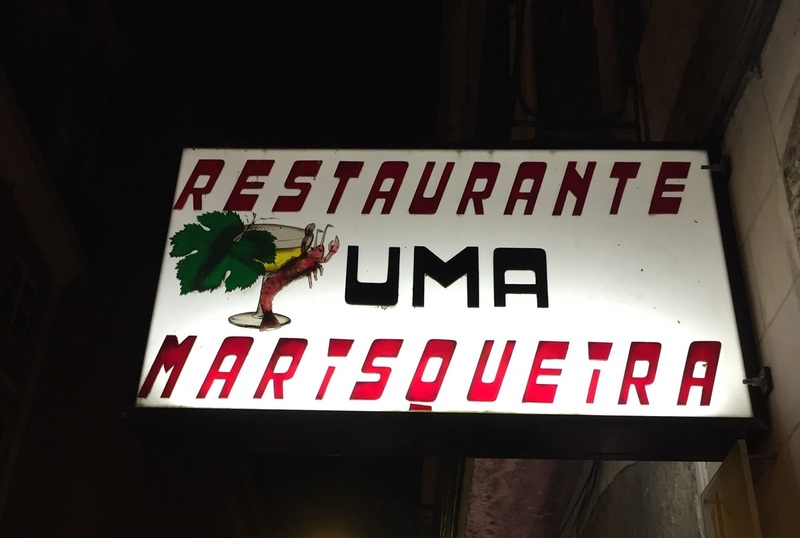 Try it and it will be the best dinner you will ever have in central Lisbon. The restaurant is fairly small and run by a family so be patient. Do not expect restaurant standard service. During busy times, you might need to wait a little while. 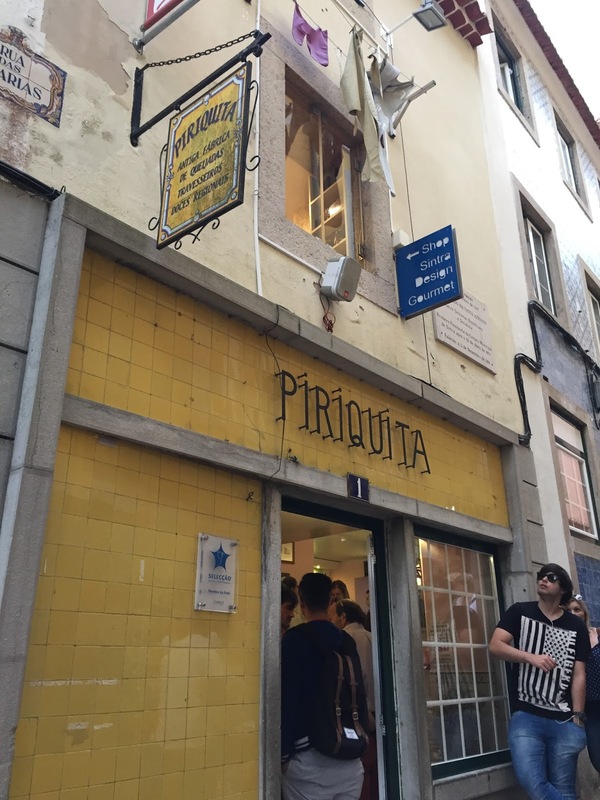 It is a little gem found in a little street off central Rua de Prata and definitely worth a visit! We didn't try any other dish so wouldn't be able to comment on the rest of the menu but definitely.... Arroz de Marisco! 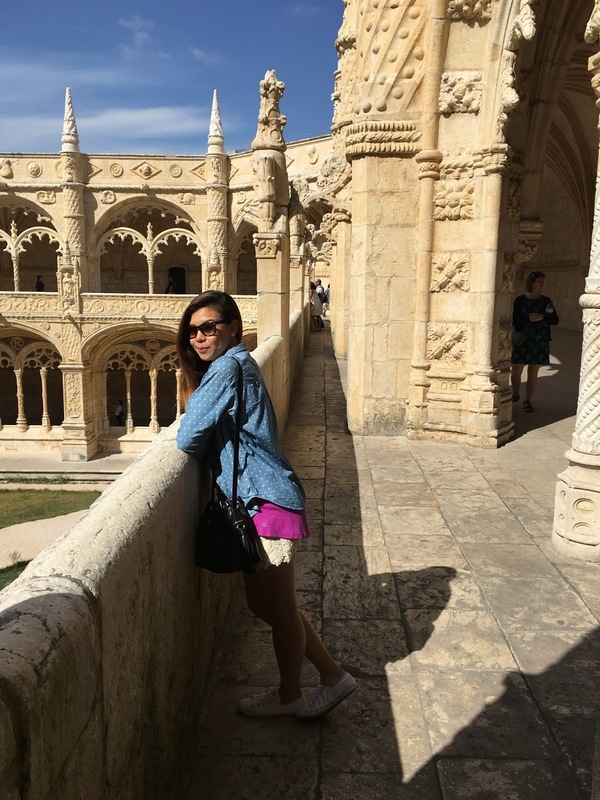 Sintra is a train ride away from central Lisbon from Rossio Station and I would highly recommend spending at least 2 days in Sintra to be able to make the most of what it has to offer. A day trip is popular and is good but definitely not enough, if like me, you want to do it all! :) And trust me, you want to do it all! Sintra, the capital of 'Romantismo', is stunning and no wonder the town was recognised as a UNESCO World Heritage Cultural Landscape in 1995. 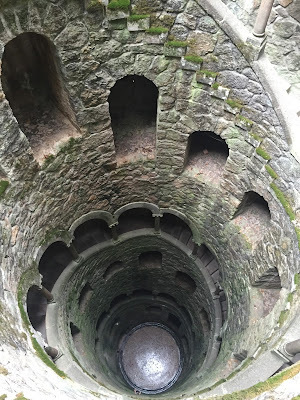 There is so much to visit in Sintra and here is my TOP 5 places to visit when in Sintra. 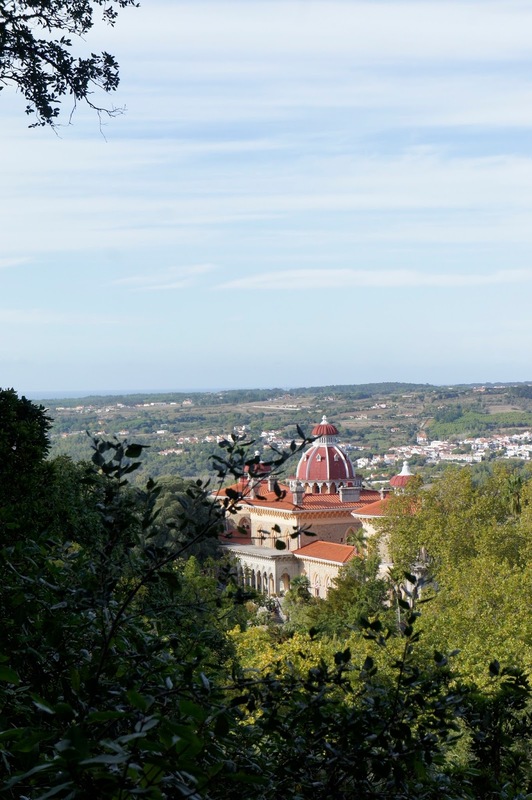 Once you arrive in Sintra, you are in another world. 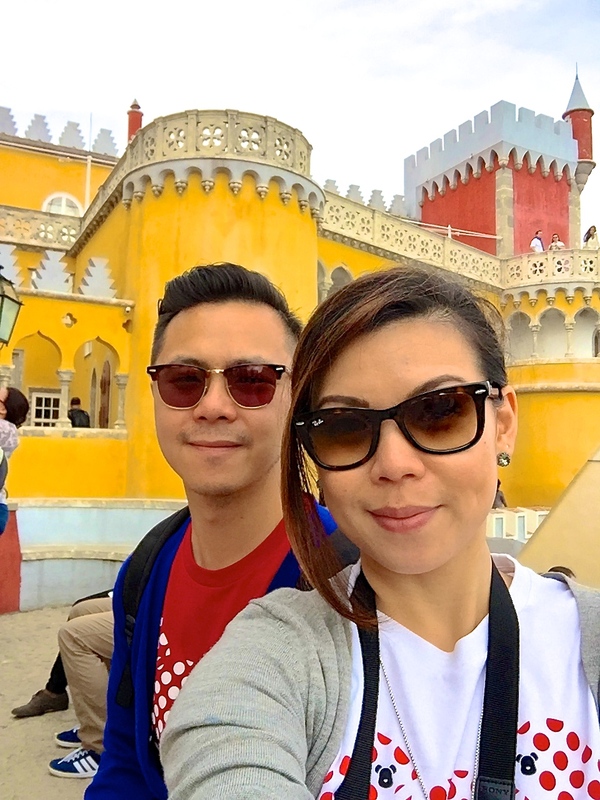 We started by visiting the old town of Sintra where the Palacio Nacional de Sintra is located. You will recognise the Palacio by the 2 big white chimneys rising above the Royal Palace. Take a tour inside the Palace if you want to learn all about the history and the architecture. For a snack, stop at Piriquita for some Travesseiros. This is an absolute MUST! They are fabulous! 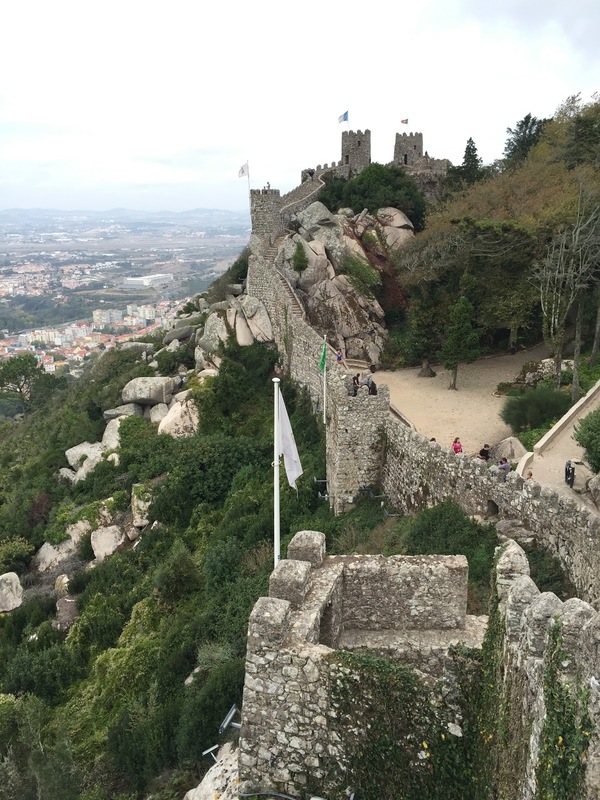 The Palace of Pena, or Palácio da Pena, stands on the highest peaks of the Serra de Sintra. 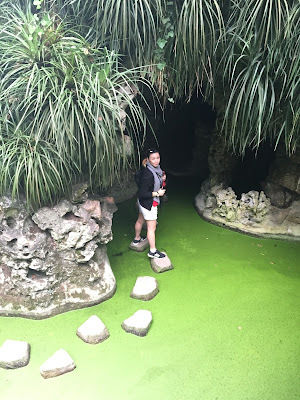 The Park and the Palace of Pena constitute the most important part of the Cultural Landscape of Sintra's World Heritage site and we understand why. The Palace is spectacular, painted in bright colours of Yellow, Red and Blue with a mix of architectural styles. Visiting the Park and the Palace may take you about 2 hours. Enjoy and get lost in the Palace. It is huge! Also known as the Moorish Castle, the Castle of the Moors is basically what is left of a Military Fort built around the 10th century. It is enormous and really impressive as one ventures up the fortress ruins. Although not as rich in history as the Palace of Pena or the Palace of Sintra, visiting the Moorish Castle is recommended just for the panoramic views of Sintra and the Atlantic coast. This was my favourite of all in Sintra. Quinta da Regaleira is one of the most surprising and enigmatic monuments of the Cultural Landscape of Sintra. Start by exploring the garden of the Regaleira Estate and discover a succession of magic and mysterious places. Then, enter the castle, which is not really a castle, it is rather the Summer residence of the Carvalho Monteiro family built in the neo-manueline style, involving some of Portugal's best Artists. This is one not to be missed! 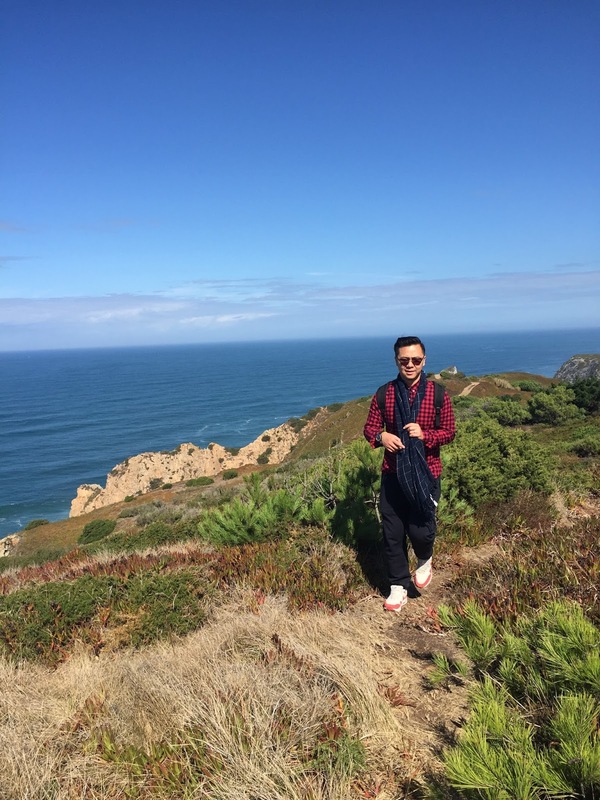 Cabo da Roca is the most western point of the European continent. 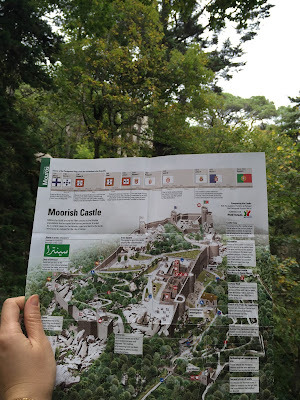 Found at the very end of Serra de Sintra, the best way to get there is to take the bus from Sintra. 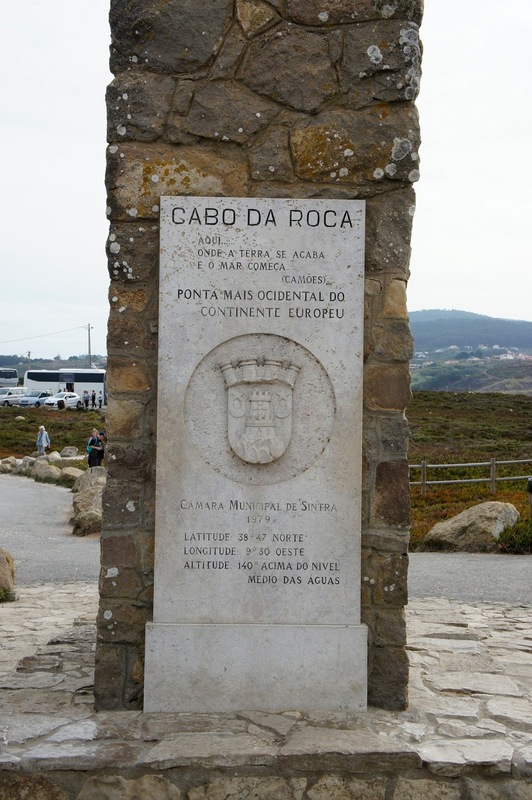 From Sintra Station, take the bus 403 and this will take you straight to Cabo da Roca. 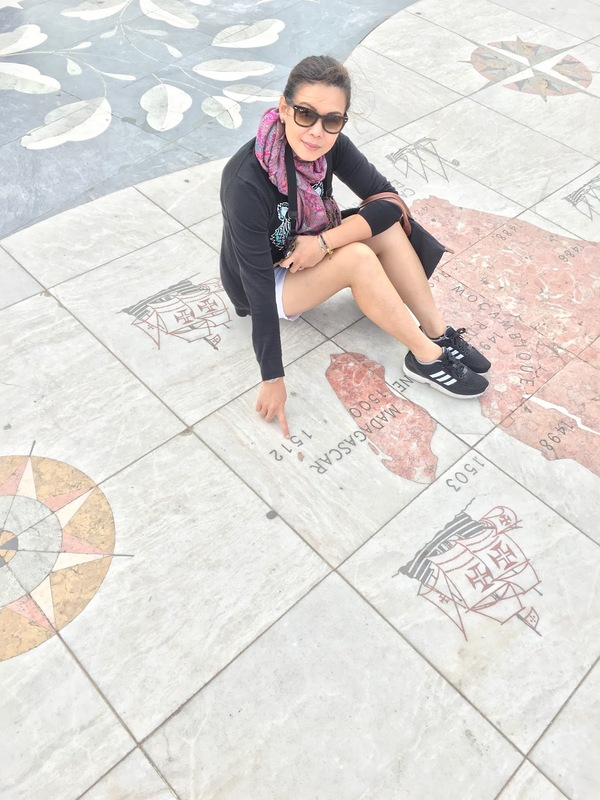 You can read more about our stop at Cabo da Roca on this post here : Cabo da Roca. 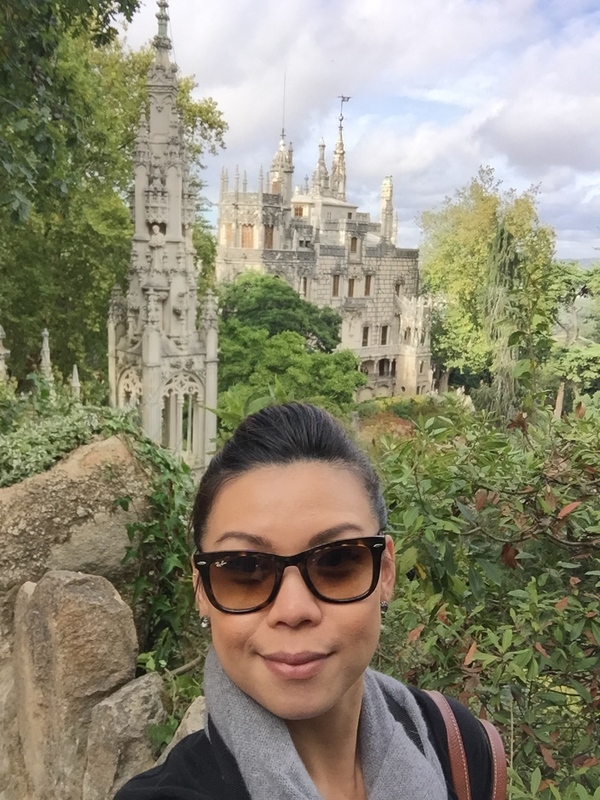 So these are my TOP 5 of what to do when in Sintra. Not much to visit here because part of the building has been converted into a luxury hotel and the beautiful garden is for the residents only. We manage to take a quick look at the garden from above and that was the only pretty part of it. Other than that, we didn't have time to explore properly. We only saw the Palace of Monserrate from far as we did not have enough time to get there. 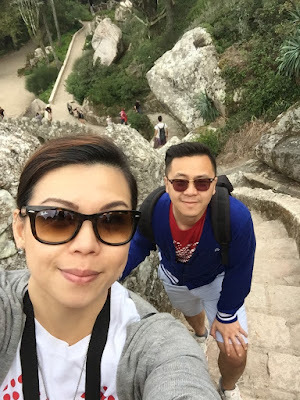 It is meant to be really beautiful with amazing landscape surrounding it but we did not have enough time for this too so we decided to give it a miss and head back to the old town of Sintra. As you can see even with 2 full days in Sintra, we didn't have to time to cover everything there was to explore. We were really tired after all the walking through the palaces and parks though and we were glad that we had comfy shoes and were well prepared with our snacks bag and water. So be prepared when you decide to go :) It is seriously almost magical! 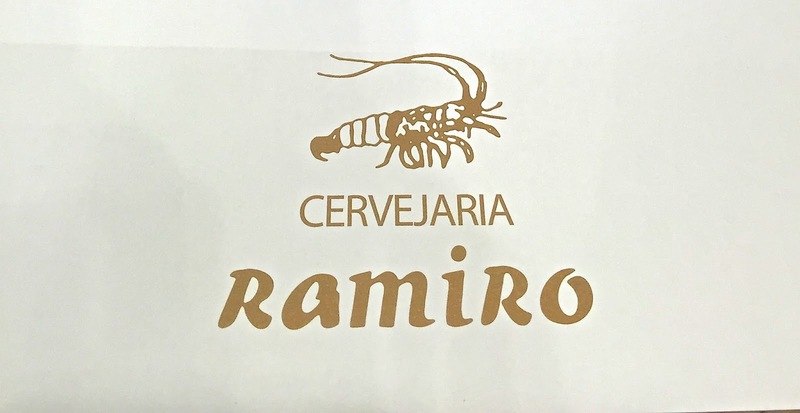 If you want to eat great seafood in Lisbon, make your way to Ramiro Cervejaria. Here we are in Belém again and this time the weather is Ah-mazing!! Yay!! On this beautiful day, we took the Tram 18 to Belém from Cais de Sodre and first things first ... we stop at Pasteis de Belém of course! I cannot be happier to be back to Belém to get to eat more of these deliciousness! I seriously cannot get enough of it. 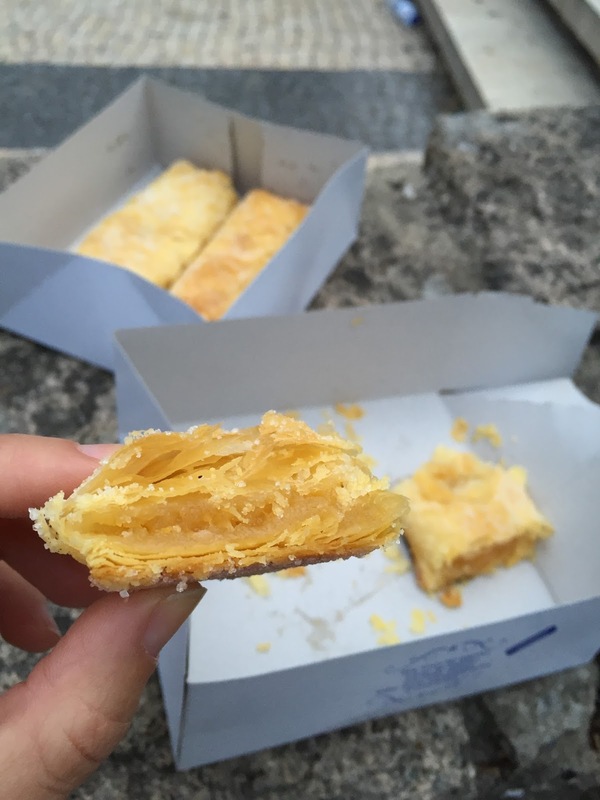 So after stuffing myself with a few of these, we move from the café to give the chance to another couple to sit down and we continue our day to the Mosteiro dos Jerónimos. The place is amazing! 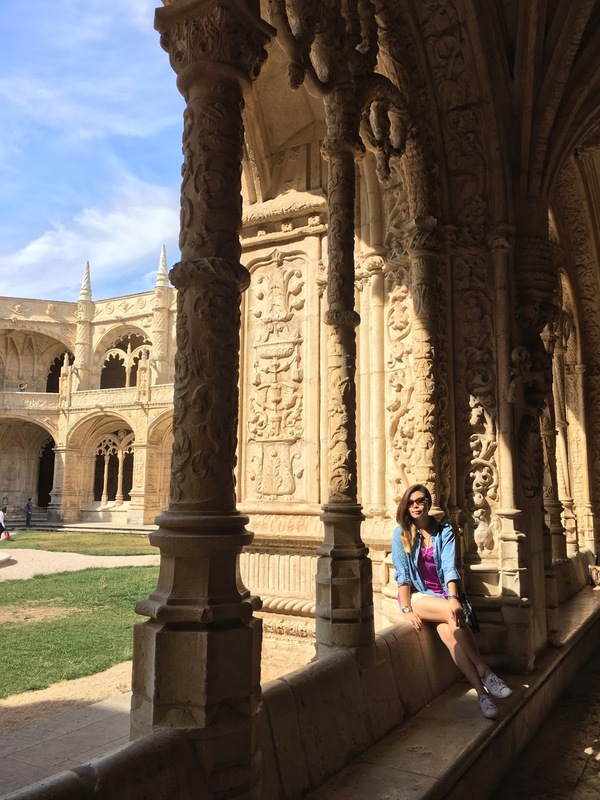 Definitely make it inside to admire all the richly carved columns, the vaulted arcades and the tiled walls with 18th century azulejos. Simply magnificent inside. 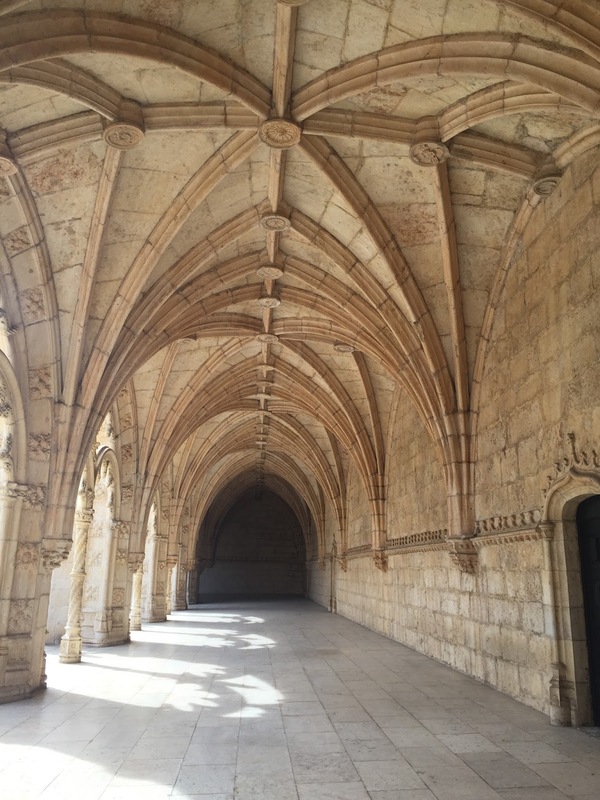 The Jeronimos Monastery is definitely a place to visit when in Belem. 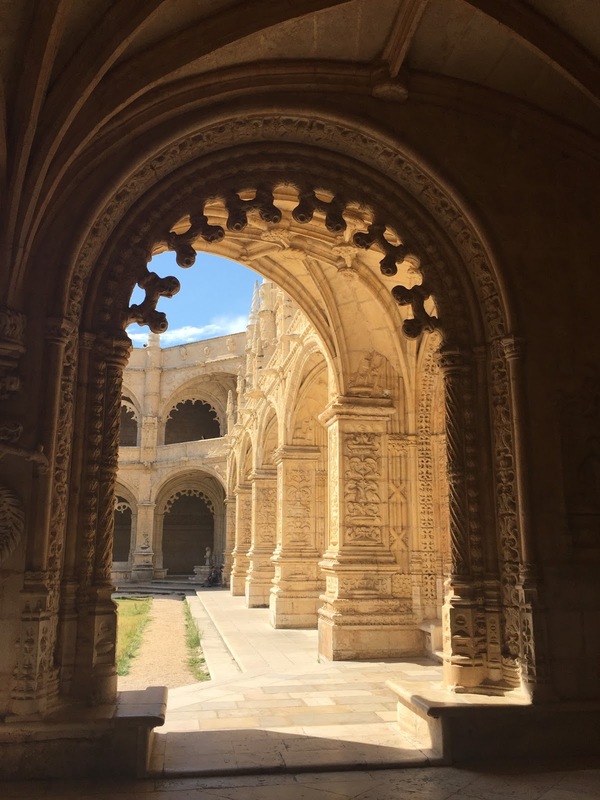 Other places to visit are the Palacio de Belém, The Museu Nacional dos Coches, the Jardim Botanico Tropical and the Museu Nacional de Arqueologica. We decided not to do the rest of the visiting simply because we were a bit tired of museums by now as we were reaching the end of our holidays in Lisbon. If you get to visit the remaining places do let me know how you enjoy them! 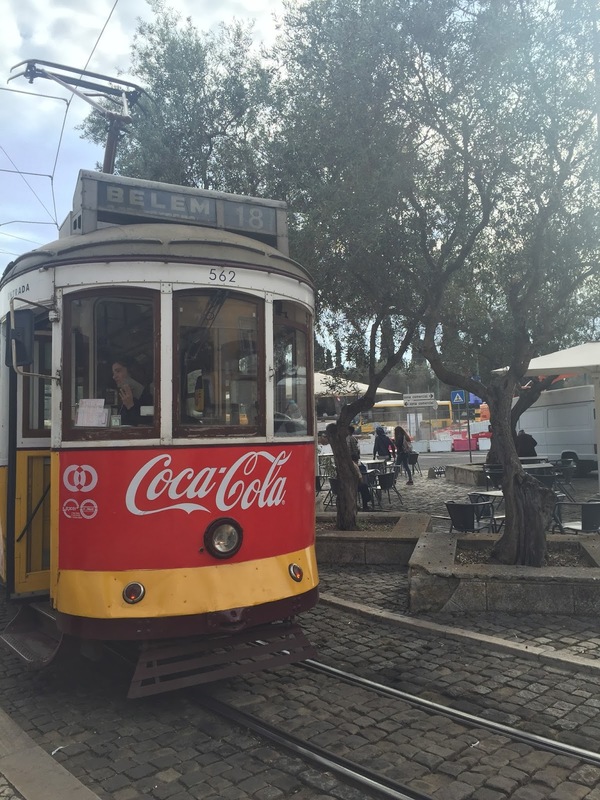 A short trip from Lisbon, by train or by a more traditional way of transport, the tram, you can get to Belém in minutes! Belém is Lisbon's most monumental and historical area. 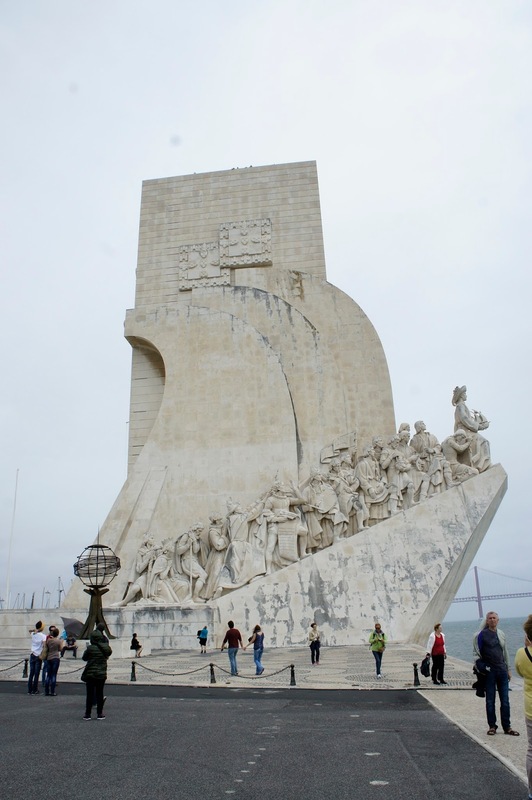 It is from here that many of the greatest Portuguese explorers embarked on their long voyages of discovery at sea. Amongst them, Vasco da Gama who went to discover the sea route to India and Bartholomeu Dias to round the Cape of Good Hope. Christopher Columbus also stopped here on his way back to Europe after discovering the New World. So as you can see, it was an important stop on the world map back in the days! We started our journey into Belém making our way towards Padrão dos Descobrimentos. It was a super windy day and the weather was certainly not at its best. We were a bit worried about the rain pouring down at any minute but we were determined to make it to the monument at least! We made it to Padrão dos Descobrimentos and next further along the promenade was the Torre de Belém. As you can see, even on a grey day, The Tower of Belem remains a popular place to visit. We decided not to queue up to see the inside of the tower, and instead we made our way into town to search for a place to have lunch. See you Tower of Belem! As we strolled along the streets of Belem, we saw this interesting wall structure on the side of the road but could not figure out what it was exactly until we turned around further down the road to see the 'big picture' as you would call it. 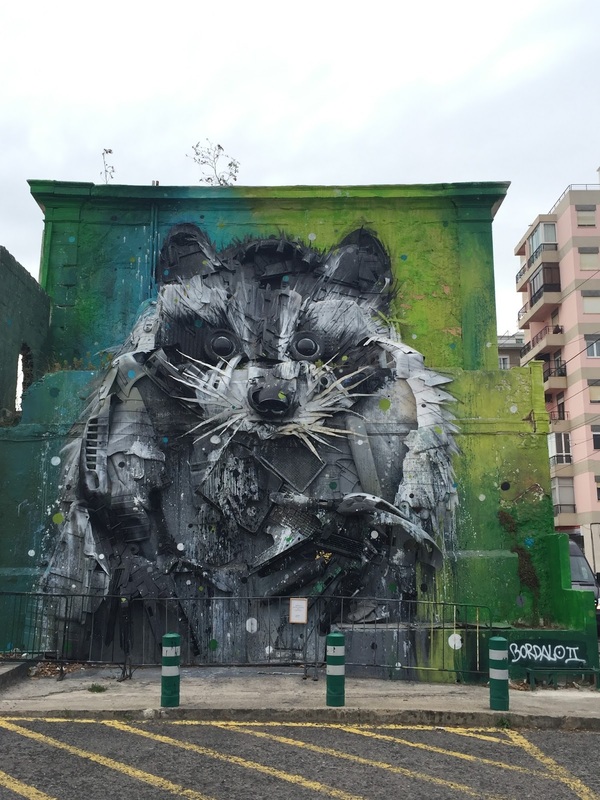 :) This is great Wall Art! Few minutes further down the road and we found our Lunch destination. Descobre Restaurant. It is a lovely little restaurant I found on Trip advisor and it was good. The octopus was fabulous and I really enjoyed the olive tapenade they served to accompany the bread as starters. The rest of the dishes were good too but nothing really special. After lunch, we made our way to the city centre where there was more to discover. 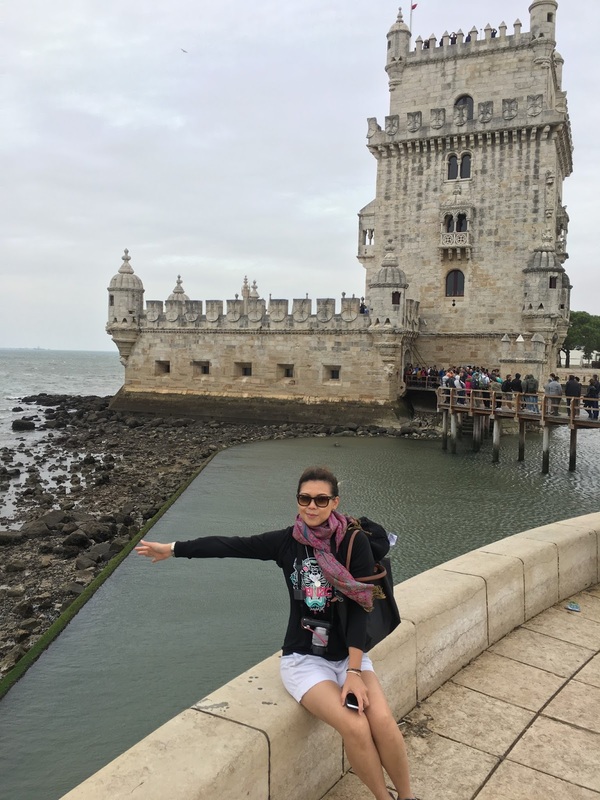 ... As the weather turned out to be pretty bad after that, we came back to visit the rest of Belém on a different day... Click here to read more about Part 2 of our Visit to Belém !